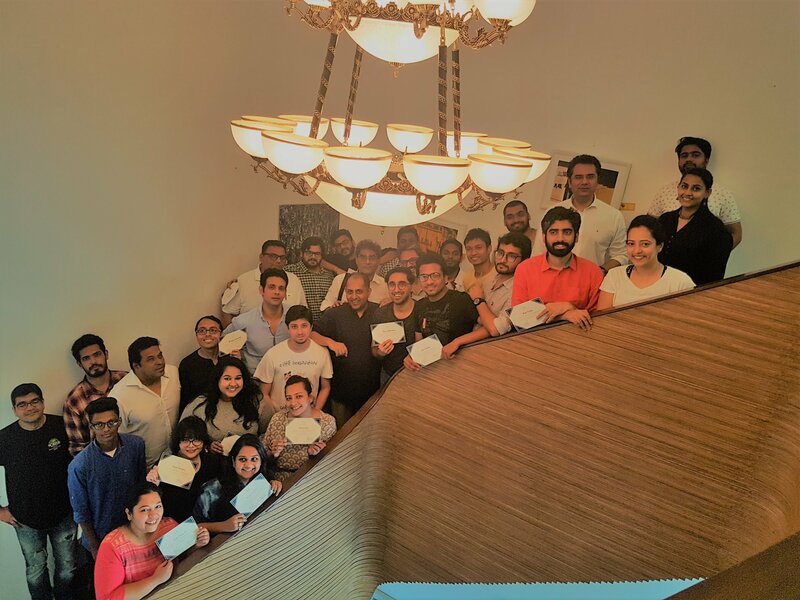 After a very successful first batch earlier this year in February, the dates for the new batch of ‘How to Write a Comedy Script’ – A Workshop by Anuvab Pal, have been announced. William Shakespeare once said comedy is tragedy plus time. But is it really that simple? What makes a scene or a script inherently comic? Is it tone, content, situation, absurdity, the opposite of what would happen in regular life, all of these or none of these? 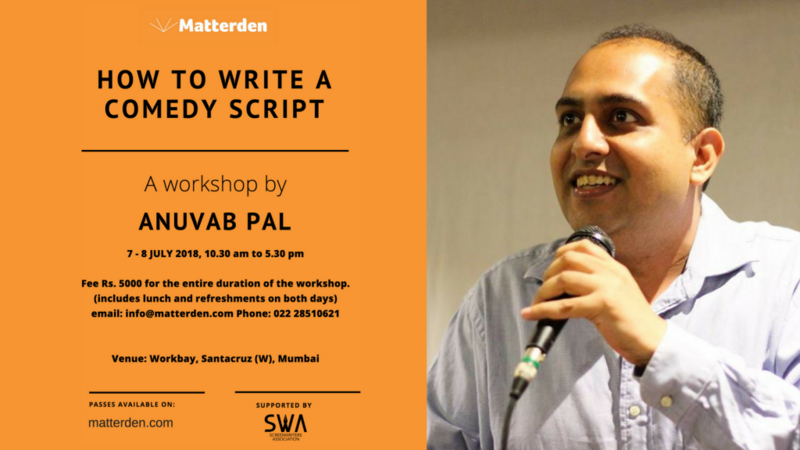 In a 2-day workshop, Anuvab Pal takes you through writing and building the structure of comedy scripts, focusing on how to write a comic scene, and the tools required/ differences to establish in building a comedy story as opposed to any other genre. Ultimately, as someone said, funny is funny, but inthe age of stand up comedy that’s very fashionable in India today, can this be taught? Or is it just instinct? What’s the difference between writing characters and doing stand-up? Is being funny the same as writing funny? Come to find out. Anuvab Pal according to The Times Of India is one of India’s top 10comedians and according to the NY Times, India’s Most Intelligent Stand-Up. He began his career at The Comedy Store (now Canvas Laugh Club) in 2010 and has done sold out shows in 30 Indian cities and 11 countries around the world. His stand up special Alive At 40 is now on Amazon Prime. He is the screenwriter of the comedy films Loins Of Punjab Presents and The President Is Coming. His latest comedy series Going Viral is now streaming on Amazon Prime. Click for Facebook event page. The workshop is open for all ages from 16 years and above. A certificate of participation will be provided at the end of day 2. Seating preference is based on first come, first serve. Lunch and beverages will be provided in-house on both days. This entry was posted in Notices on June 20, 2018 by SWA Editor.